I started this scarf at the beginning of April, just as we were about to go on holiday to Morocco for a week. I thought that the beautiful, tulip-inspired colours would match that landscape well, and I was right. 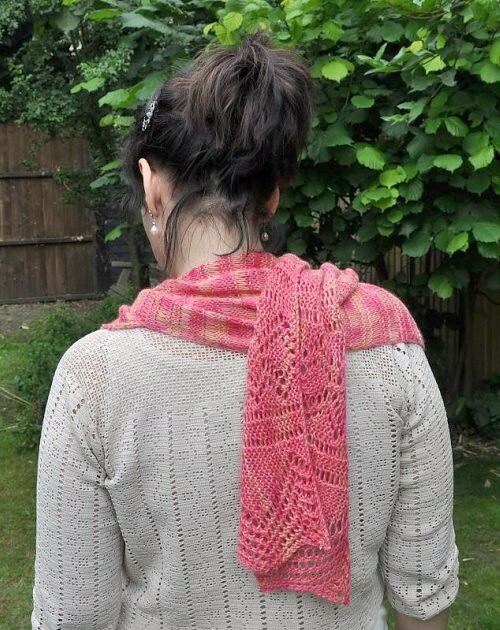 It was perfect for getting me back into knitting – a quick, easy knit with many dropped row stitches that meant the scarf grew incredibly quickly, and a nice bit of lace at each end. I am somewhat ambivalent about variegated yarn in general, but I am really happy with how this stitch pattern worked with, rather than against, the yarn. That’s lovely. I keep seeing lovely things from that book, I really must get round to getting a copy myself. oh it’s totally beautiful! What a re-entry! 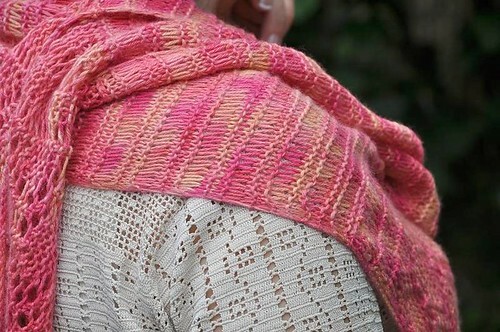 It’s just lovely – very good choice of patten for the yarn. 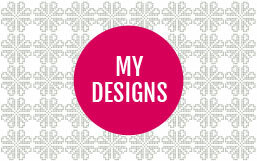 And also – LOVE your crochet cardi! Just fab! 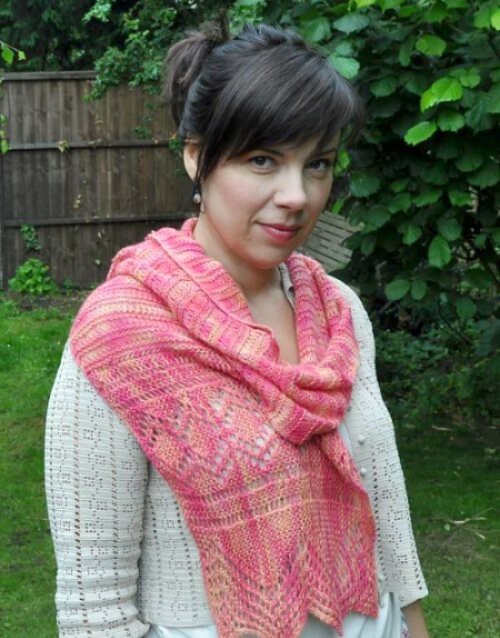 Gorgeous scarf, and lucky you getting “free” Posh yarn! I’m jealous!!! 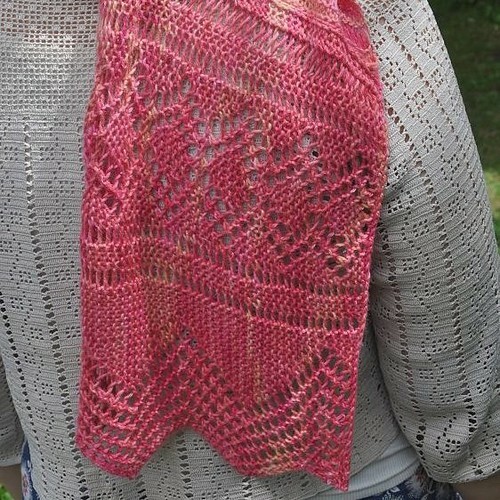 Very pretty – great choice of pattern for the yarn – I’m sure the recipient will love it! apart from the knitting, it’s also a pleasure to see YOU again. the camera is loving you (or possibly the person behind it is)!